Warns of existing or possible hazards. Alerts drivers to school zones. Alerts drivers to public recreation areas. Alerts drivers to upcoming food and gas locations. 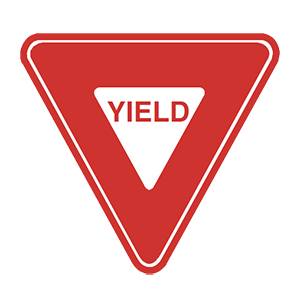 Diamond-shaped signs warn drivers of existing or potential driving hazards. You will usually see these signs in yellow or orange. A U-turn is a 180-degree turn that resembles the shape of the letter "U" and reverses your direction of travel. 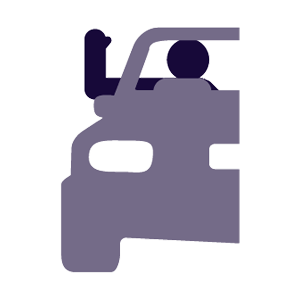 You may not make a U-turn unless you can do so safely and without disrupting other traffic.